Few things are better in life than chocolate and pretty pictures- or at least in my book. I'll share with you a few things that fall into those categories that are new to me and perhaps new to you? 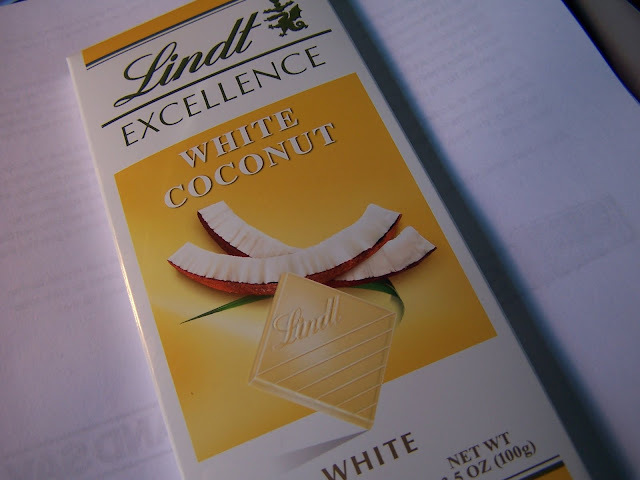 Lindt White Coconut Chocolate. I got a bar of this stuff for my birthday and I'm savoring every square. It is insanely delicous and perfect for summer. And thanks to Paula at Two Ellie for introducing me to And George a store and blog that has me instantly smitten. I can't believe I was recently in Charlottesville and missed this place. They recently took their readers on a house tour of a place called Tudor Grove and I think I pinned every picture. Love & George! And someone tell pinterest to let me in! I feel like a loser at the dorky lunch table. Absolutely amazing sharing. I like your post very much.